A couple of weeks ago we hosted the first hui of this year’s Flourishing Fellowship. 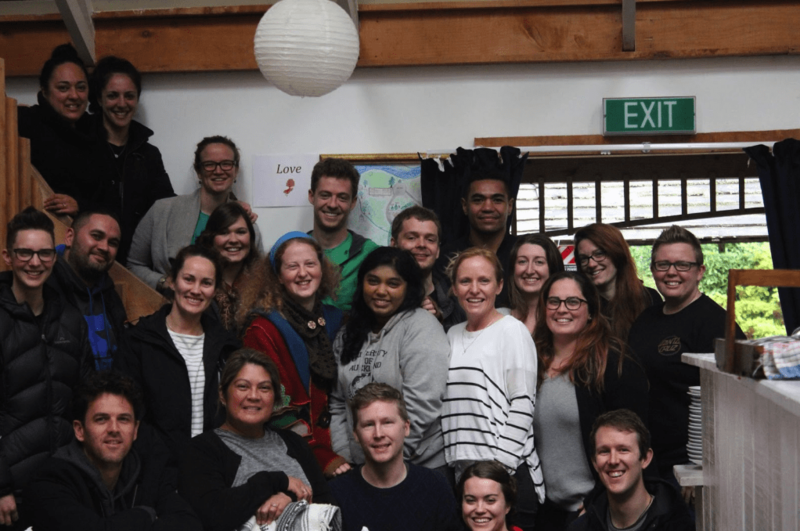 We spent five days at Waihōanga Centre for Well-being getting to know each other, ourselves and increasing our understanding of the opportunities and barriers when it comes to youth wellbeing. Rather than the team reflecting on this initial experience, we’ve invited the Fellows to reflect on their journey. It was humbling being around so many inspiring individuals; hearing the stories of their communities and giving so much of themselves to the group. I entered Lifehack Hui Tuatahi 2016 in the midst of thesis writing. I feel that it was the needed respite from the mundane, lonely and isolating journey. I do love studying and understand the importance of research, however, sometimes you just get to the point of saturation…enter Lifehack into my life! During my time at the Lifehack Hui it highlighted to me that there were others that are doing awesome work in their communities. I am not a complete hermit, I had already known this from my time at Youthline and awesome work that I see clients achieving within my counselling practice. However, with a university thesis, you can quite often get your head into a spin that you are the only person who is trying to achieve meaningful work. The experience at the Lifehack Hui re-ignited the fire of why I do the work I do and why it is my passion. All of these amazing humans all bring something different to the group, however, all have a huge heart, empathy, passion, pride for youth wellbeing. With a world that seems so messed up, it is great to be reminded, that there are a great number of humble awesome humans, doing great work. For me the best parts of the Lifehack Hui Tuatahi were: the ako sessions, whānau groups, Open Space and prototyping. Ako in te reo Māori means both to teach and to learn. The whānua (bar the facilitators) were given approximately 20 minutes to teach something to the rest of the group. This really showed some creativity and elicited a lot of laughs, with a session on theatre improvisation and another on how to Gaelic dance. What I loved about this space is that it could be anything that teacher wanted it to be and showed us a little more of an insight into what is important to that person. These are smaller groups 4-5 members that check in with each other, throughout the Hui. There is regular time in the morning, after breakfast to check in with your group. We initially had some time to put some boundaries around what we wanted to use the time for and what would be helpful to ask from the group. In our group we adopted the “feelometer” to check in each day (thumbs up, sideways or down) and now check in online with the whānau group using percentages. It is really nice to know that there is a support group for thoughts, feelings and reflections. What I really enjoyed were the spontaneous catch ups and more informal check ins, knowing that someone has always got your back! I enjoy smaller groups as I feel that I can get to know people and understand people better. 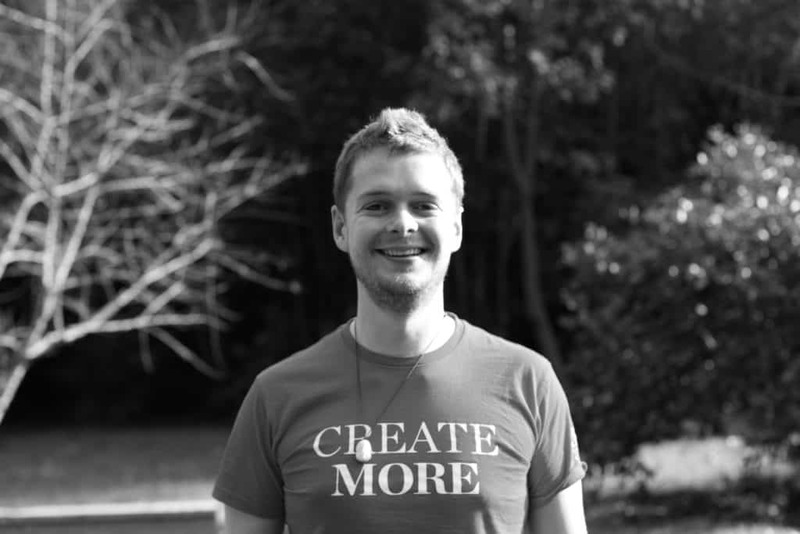 What I love about Lifehack is the fluidity of the sessions and the mantra “of everything is an experiment” trying out different ways of working and testing out new ideas in a safe reflective setting. If you come from an NGO setting it is rare that you can have this type of freedom, without bureaucracy and questioning. Open Space is an awesome time for fellows to facilitate a conversation (in our instance approximately an hour) on a topic that is a concern or interest to them. I attended a really awesome discussion on LGBTQI, which gave me a huge awareness of the terminology that I use around gender-neutral pronouns. This is a work in progress and I am trying to change my language in everyday conversations. We also had an open space on developing our pepeha, and I have created a challenge to get mine to a point where I can present it to the group by the next Hui. What I love about open space is it allowed me choice in what you attend. Humans love to have choice and you can attend something that is going to be meaningful development for you. Also an opportunity to test an idea on a small budget, a prototype is a sample or model. This was just a little introduction into prototyping, which will be expanded on in future hui. It was great to run with a blue-sky idea, make a model and pitch your idea to the group. So often within workplaces, we get the “if” or “but” and an idea gets shot down. This session gave me a taste of what it would be like to run with that idea and build a low-cost model to pitch to the group. I return back to Christchurch with a refreshed outlook and am invigorated to finish my thesis. We are now all connected online through different platforms and it is lovely to know that the Lifehack Flourishing Fellowship whānau is behind me in everyday life and ventures. On the same token, it is lovely to know that I can offer that same collegial support to others in return (it is a two-way street, right!). 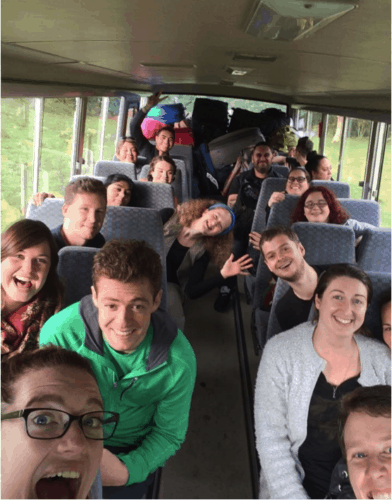 This is only the beginning of the Lifehack Fellowship and I am looking forward to further strengthening relationships, fostering friendships, collaboration, mahi and aroha that this group offers. What three weeks ago was a group of strangers, has now become a network of great friends.